I was, naturally, curious about what it did and I couldn’t find any documentation so I did a bit of investigation of my own and asked a few people at Microsoft. 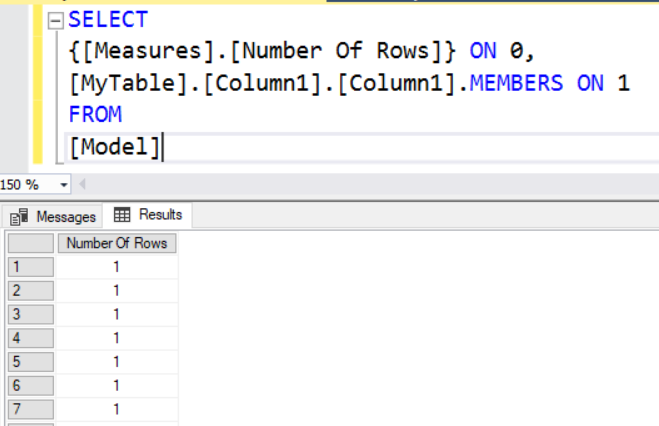 The only other use I have found for it is when it is used in combination with the DAX CombineValues() function in DirectQuery mode. 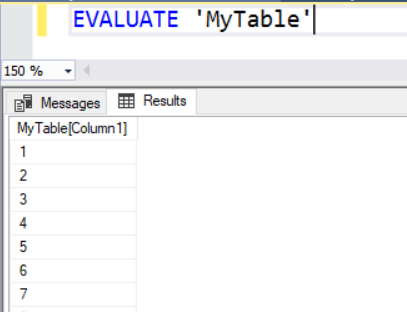 In his excellent article on this subject, Marco notes that the SQL generated when you use CombineValues() to concatenate values from multiple columns and create a calculated column that can be used in a relationship includes a check for null values in those columns. 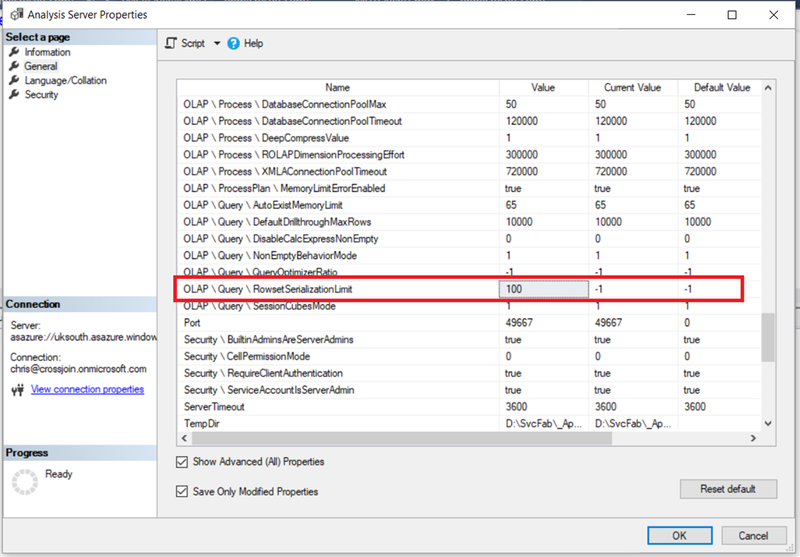 I can confirm that if you turn off the ‘is nullable’ property on all the columns used by CombineValues(), there are no checks for null values in the SQL queries. There may be a few other things that it does, but I’ve been told they are likely to be there to ensure correctness rather than performance optimisations. Nonetheless if you do find other scenarios where it has an effect please let me know in a comment. 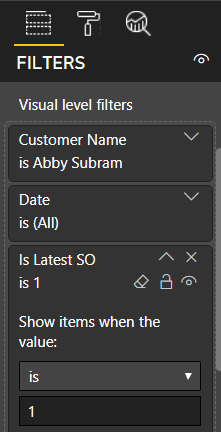 While Power BI has a lot of great functionality for filtering the data that appears in a visual using visual-level filters there are going to be situations where you need more control over how filtering works, and in this blog post I’m going to show you how you can use visual-level filters and measures in combination to achieve this. The example I show here may be quite specific but I think the general technique has a lot of other interesting applications. 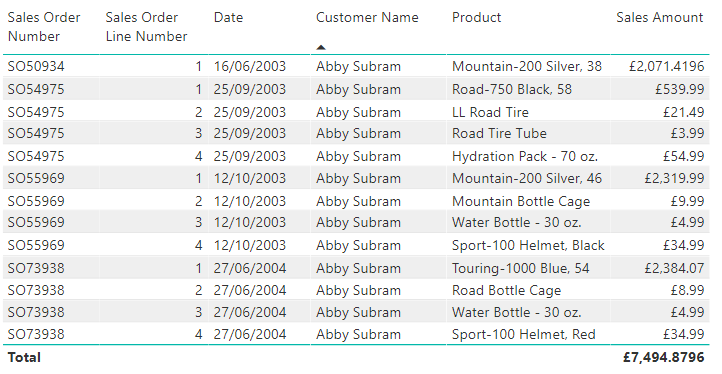 Let’s say you have a table containing customer purchases, with potentially more than one purchase per customer, and want to display a table in Power BI showing only the most recent purchase for each customer relative to a given date. Using data from the Adventure Works DW database, here’s the Internet Sales table from my Power BI example dataset that contains the customer purchases. Each purchase has a Sales Order Number and a Sales Order Line Number, and there may be multiple line items in a single sales order. Here’s some data from this table, filtered down to show the purchases of one customer: Abby Subram. The requirement is that the report user should be able to select a date in a slicer and show the details for the most recent sales order that occurs before the selected date. So, for example, if the user selects 1/1/2003 then no rows should appear; if 16/6/2003 is selected then only SO50934 should appear; if 30/9/2003 is selected only the four rows relating to SO54975 (and not SO50934) should appear; if 28/6/2004 is selected only the four rows relating to SO73938 should appear, and so on. 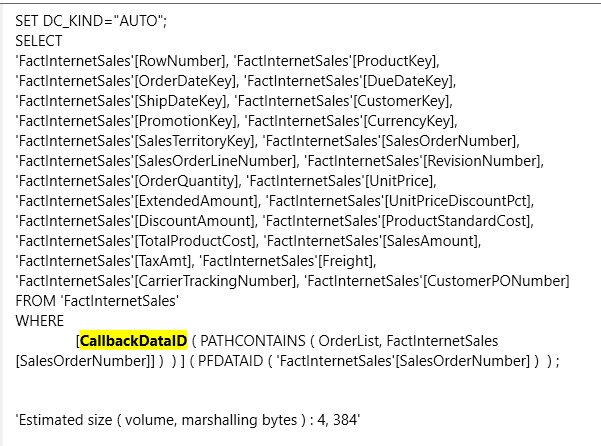 The first step is to create a create a date table that contains the ‘as of’ dates the user can select from, using the disconnected slicer technique: basically a date table that has no relationship at all to the Internet Sales table shown above. Next comes the tricky part. Visual-level filters can be used to filter the contents of visuals in a Power BI report based on the value of a measure, and that measure does not need to be displayed in a report. What you therefore have to do is create a measure that will return the value 1 for data that should be displayed (in this case, the most recent purchase order for the customer) and blank otherwise, then apply a visual-level filter using this measure and filter on this measure equalling 1. Marco and Alberto have a great article going into the details of how measures behave when they are used in visual-level filters here that I recommend you read before carrying on. 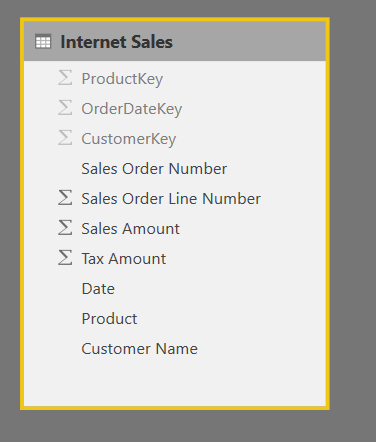 Assume that this measure will be used to filter a table visual in a Power BI report, where each row in the table visual displays data from a single row in the Internet Sales table in the dataset. 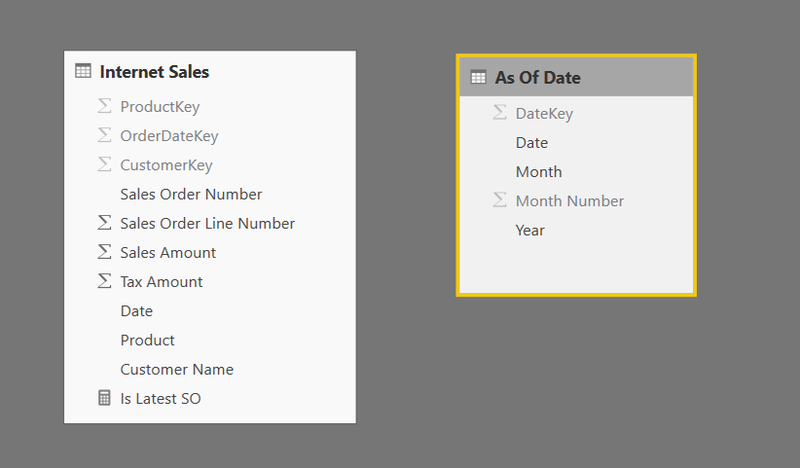 Create a table of all possible combinations of CustomerKey and OrderDateKey ignoring the current filter context, then filter it so you get all the sales orders for the current customer and where the order date is greater than the date of the current sales order and less than or equal to the selected ‘as of’ date. This is stored in the SameCustomerSOs variable. 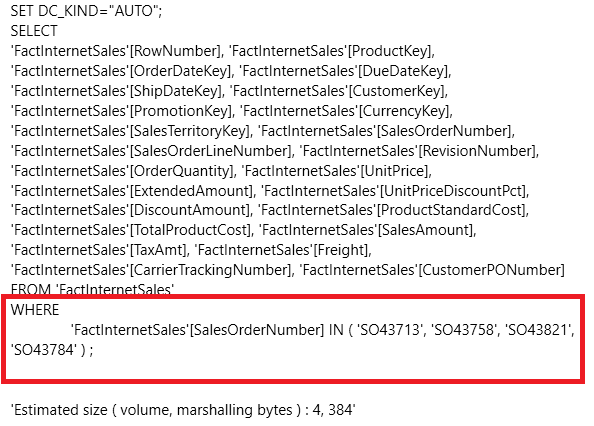 If there are rows in the SameCustomerSOs table then the current row in Internet Sales should not be displayed because it is not the most recent sales order as of the selected date; if SameCustomerSOs is empty then the current row should be displayed, because there are not later sales orders for the current customer before the selected as of date. Finally, return 1 if SameCustomerSOs is blank and if the current row in Internet Sales has an order date before the selected as of date. The one thing you do need to be careful of when using this technique is that the DAX you use in your measure must be as efficient as possible: inefficient DAX, complex filters and large data volumes will make your report unusably slow. 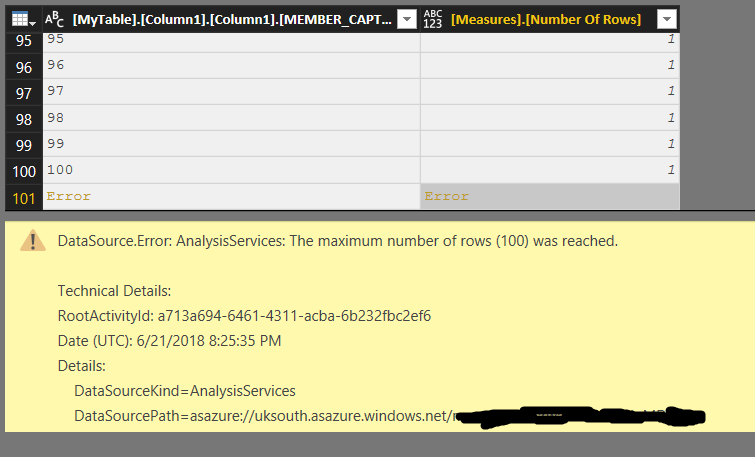 I’m sure the DAX used in my measure above could be tuned to perform better (it currently takes around half a second to filter the full 60,000 rows in the Internet Sales table; Power BI only queries for and displays 500 rows at a time, which makes things faster) but the real point I wanted to make here is that using measures and visual-level filters in this way allows you to apply almost any complex filter condition you want to the data displayed in a visual. 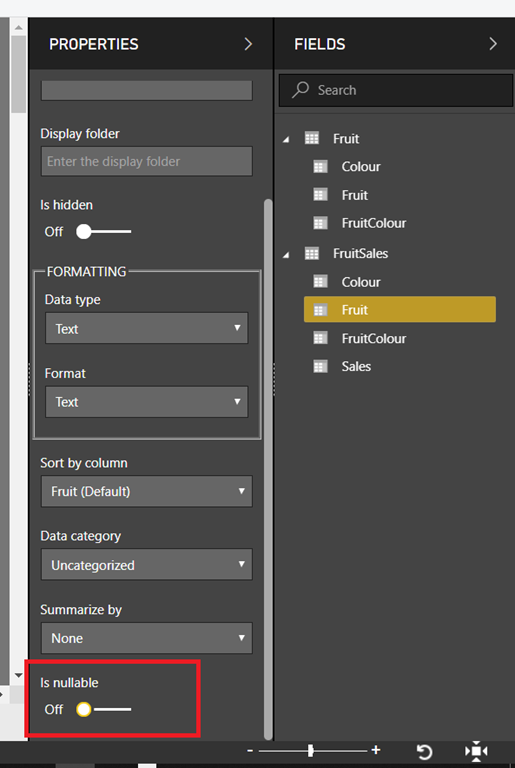 The excellent work that David Eldersveld has been doing recently on using SVG images in Power BI has generated a lot of interest; now that the August 2018 release of Power BI Desktop allows you to set data categories on measures – and specifically the Image URL data category – David has been able to apply his work to the creation of sparklines and small multiples in Power BI. He’s already published an example in the Quick Measures gallery here; you might also want to check out this blog post and quick measure by Tom Martens too. All this got me thinking: what if there was a simple web service that could generate charts, one that didn’t need any authentication, could work with simple GET requests and was free to use? Well guess what, there is one created by Google: the Google Image Charts API. It turns out that it makes it super easy to create sparklines and small multiples in Power BI with very little DAX needed. All I’m doing is building up the URL to call the API from the parameters listed here. The second measure is basically the same as the first, but the chart type is driven by a selection in a slicer. It’s not bullet-proof code but it shows how easy it is to use the API. You can see the report live here, and download the sample .pbix file here. I’m not going to pretend that I’m a data visualisation expert and I know these examples are very basic; however, I think there are a lot of possibilities here for someone with better data visualisation skills than me. While the dynamic and interactive Google Charts are actively maintained, we officially deprecated the static Google Image Charts way back in 2012. This gives us the right to turn it off without notice, although we have no plans to do so. There’s no limit to the number of calls per day you can make to the Google Chart API. However, we reserve the right to block any use that we regard as abusive. As a result I would not be confident about using it in production. If thousands of Power BI users started using the API it might prompt Google to block traffic from Power BI or turn off the API completely! I do think Microsoft really needs to address the lack of native support for sparklines and small multiples in Power BI – the fact we still don’t have them is frankly embarrassing (even Power View had them, for crying out loud). Although one solution could be a DAX function that returned a chart image – basically taking David’s work and wrapping it up in a more user-friendly form – another approach would be for Microsoft to build on the Report Page Tooltips functionality. Since we can already design mini reports and make them appear as tooltips, why not make it possible for the same mini reports to appear in a cell in a table or matrix? 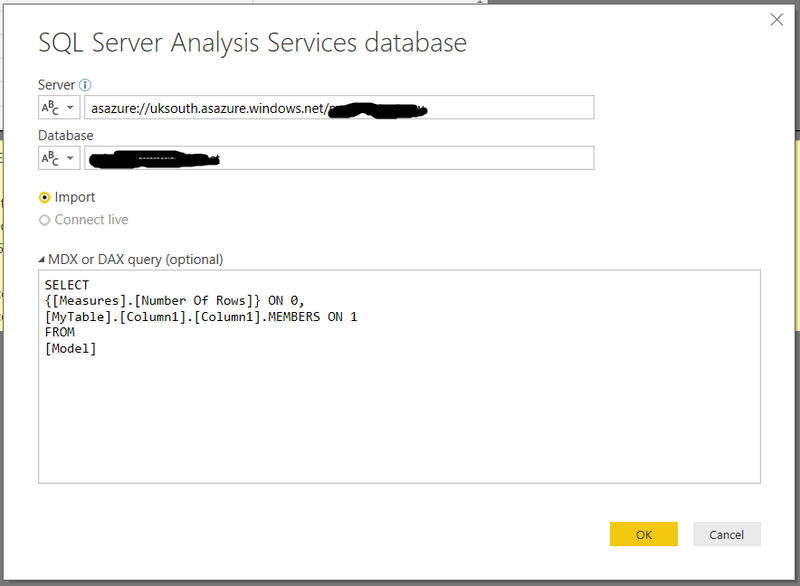 You could then have measures that returned the name of a report page as a text value, and a new data category for them that tells Power BI to display the contents of the report page in the cell instead of the text. That way you could create small multiples from any visual or set of visuals. UPDATE: thanks also to Tom Martens for reminding me to point out that this technique involves sending data to a third party, something which might cause legal problems for you.